Karbonn A99 charging track and charging ways and solution, the below is the complete charging way for Karbonn A99 Mobile phone. 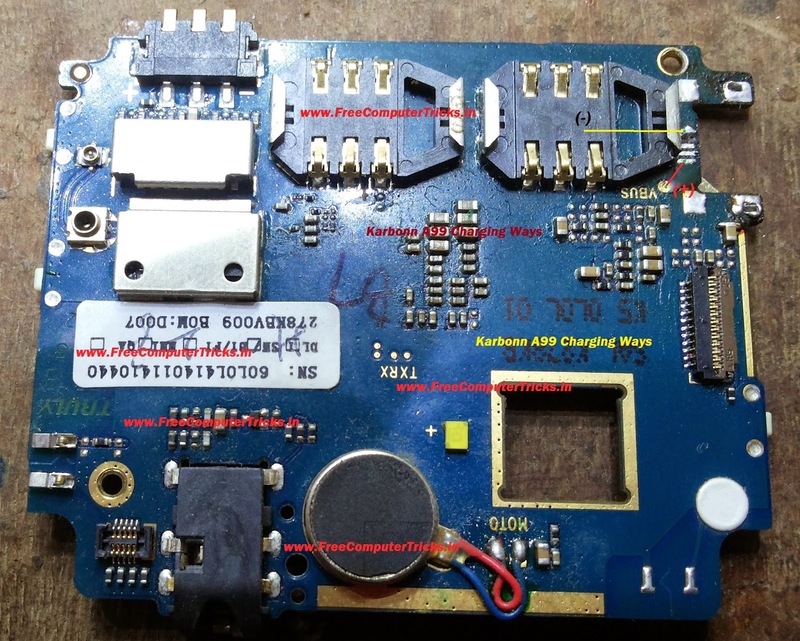 If the charging connector of Karbonn A99 is damaged the this will help you regarding the charging problem and find the charging ways for the phone. The Plus (+) side is connected to VBUS pin from that point you can check other connectivity of the charging ways. What problem you have, if it's hang then this may be due to software/firmware problem you need to flash the device.